Custom development of native and cross-platform apps for desktop and mobile devices, as well as firmware, cloud apps, and embedded applets. Additional Java-powered software solutions include modernization, framework customization, legacy migration, QA, reengineering, and performance tuning. We create software using Java's most dependable integrated design environments (Eclipse, Maven, Netbeans) and libraries (JSF, Spring, JUnit, Struts). Programming of scalable, portable Java Enterprise Edition architecture for data-driven businesses with high-traffic websites. Our B2B and B2C programming solutions include multi-tiered and distributed systems, Business Rules/Process Management (BRM/BPM), business intelligence/analytics, data mining, corporate portals, CRM, tools for localization and internationalization, as well as management channels for content, inventory, assets, and tasks. We program robust applications for mobile Android devices as well as IoT apps for Android, Wear, Android Auto, and Android TV. We integrate social media plug-ins, adaptive UI/UX, custom widgets, enterprise mobility, mobile payment processing, location-based services, and mVoiP. We also implement Google Play APIs including Developer, Android Pay, Remote Display, and Game Manager. Chetu is the premier provider of custom Java programming solutions for businesses worldwide. 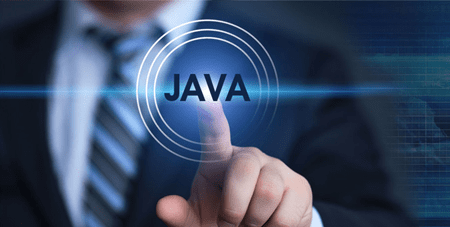 Consult our software solutions specialists now to discuss how our Java development services will help you overcome your business technology challenges.